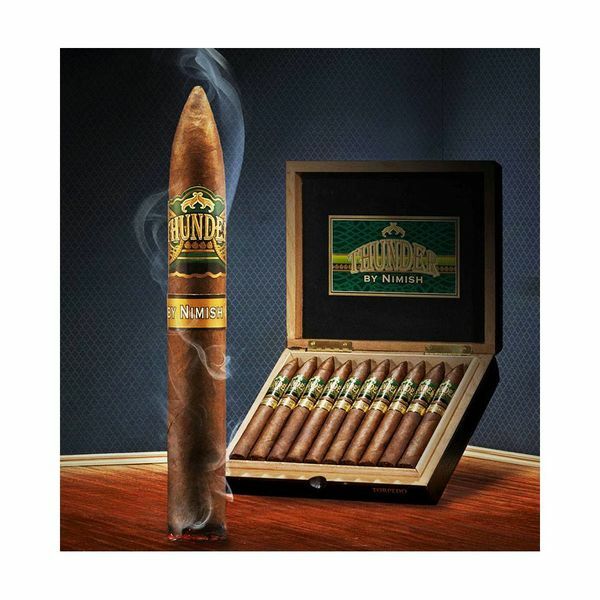 Thunder by Nimish features a diverse tobacco medley finished off with a dark and oily Ecuadoran Habano wrapper. Blended by a cousin of Rocky Patel, this cigar brings a lot to the table. Hints of pepper, spice, cocoa, and espresso permeate the stages giving way to an intense and heady smoke.